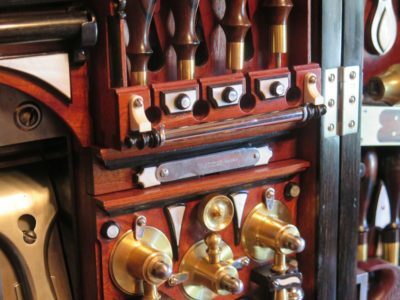 On our trip back home from Florida last month Mrs. Barn and I were able to visit JimM in his home and workshop, and admire his Studley Tool Cabinet replica in person, along with many other magnificent projects he has completed over the years. 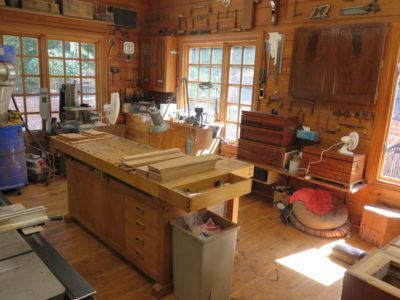 It was readily apparent that his foray into woodworking at the highest level is not a recent undertaking as phenomenal furniture and tools are present throughout the house bespeaking decades of crazy-good work. 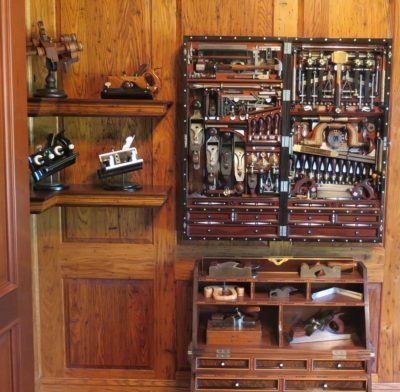 Studley 2.0 is hanging on the wall of his home office alongside a collection of hand planes he built, and on the opposite wall from another spectacular tool chest he made some time ago. My wife and I were bug-eyed at his accomplishments and it both inspired and condemned me for being such a slacker. His shop was in a dedicated space behind the kitchen, roughly the size of a two car garage. For any other family it would probably have been a spacious Family Room. 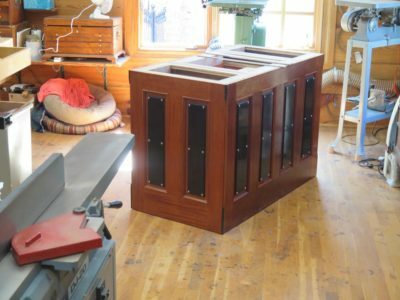 Though well appointed it was probably little different than scores if not hundreds of similar hobbyist’s shop across the nation, the main difference being the quantity and quality of the finished output from the space. His latest project, replicating Studley’s work bench was nearly complete. His dedication to working hard, efficiently, quickly, and skillfully is evident here and everywhere else. 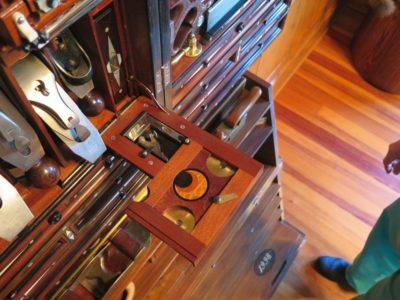 I look forward to profiling Studley 2.0 and its maker in a 2017 Popular Woodworking article.